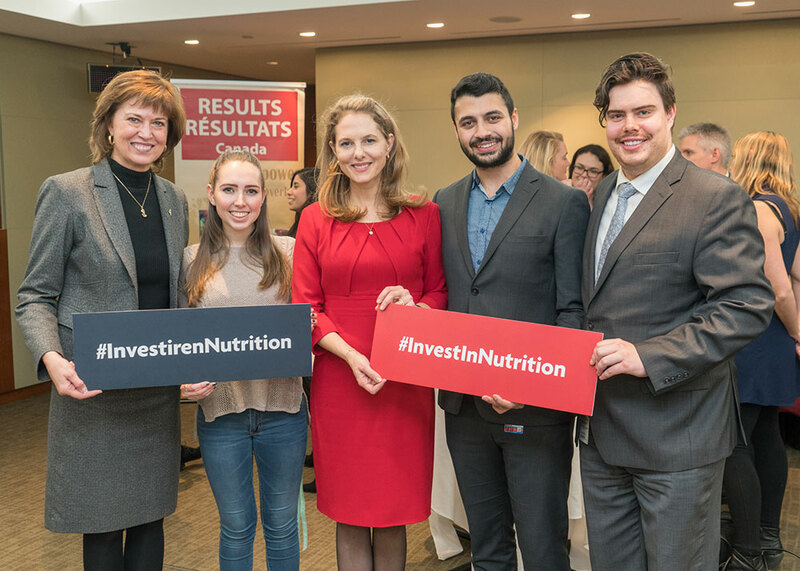 From left to right: Pam Damoff, Member of Parliament, Oakville North — Burlington, Jamie Bruce, Her Royal Highness Princess Sarah Zeid of Jordan, Musab Khalid, and Conor Lewis. 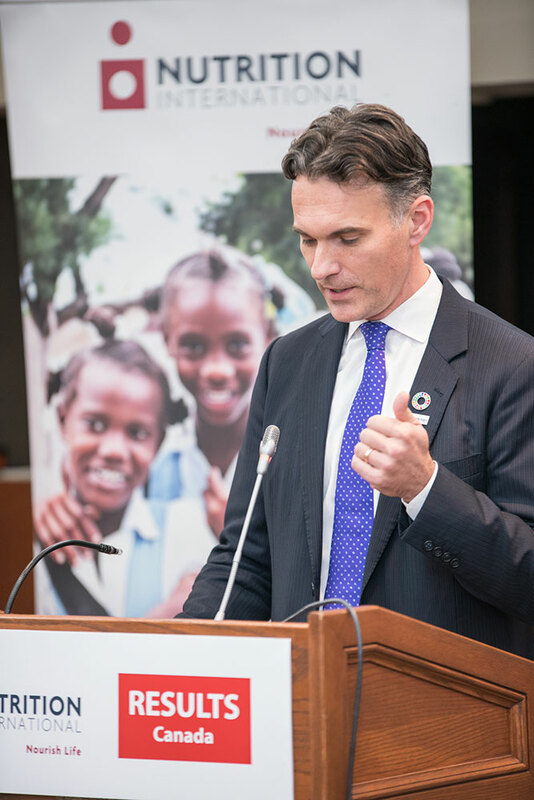 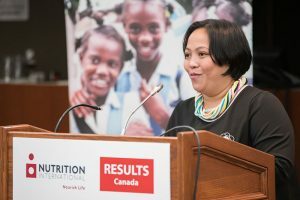 Ottawa, CANADA ― On November 21, Nutrition International and RESULTS Canada co-organized “Unleashing the Power of Future Generations through Better Nutrition”, a parliamentary reception to bring attention to the importance of increasing investments in global nutrition for gender equality and the achievement of the Global Goals. 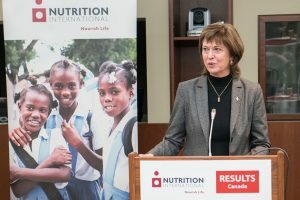 The event was hosted by Pam Damoff, Member of Parliament for Oakville North — Burlington, who reflected on her personal experiences visiting Nutrition International’s programming in Indonesia and spoke to the foundational importance of nutrition in ensuring young women and girls can survive and thrive. 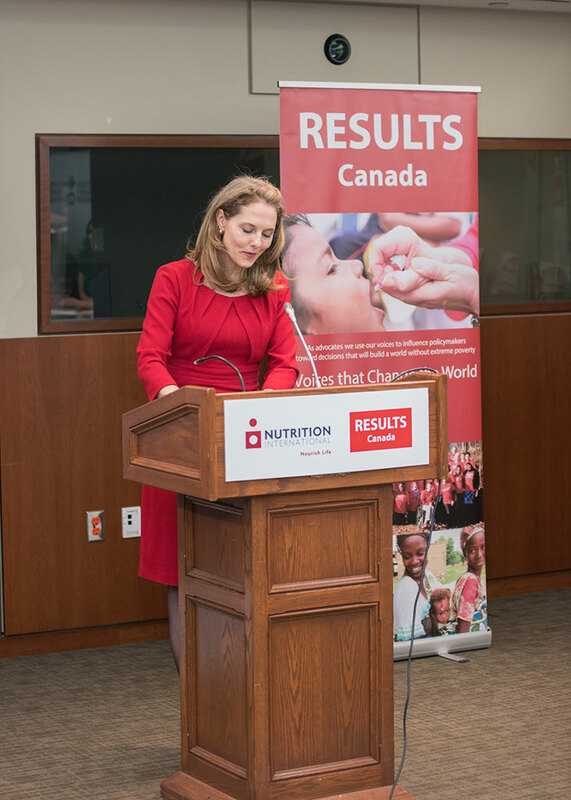 Her Royal Highness Princess Sarah Zeid of Jordan was a special guest at the reception. 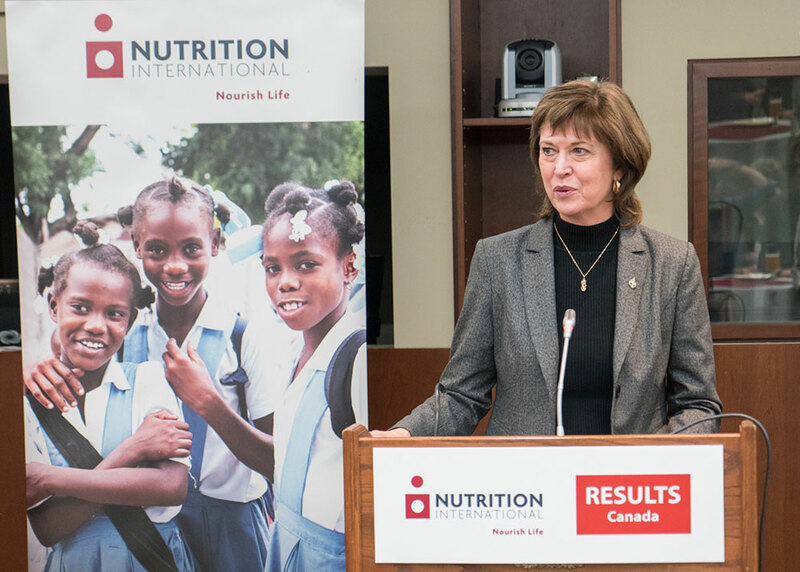 In her remarks she thanked Canada for its leadership on nutrition and women and girls’ empowerment. Also in attendance was Dyan Aimee Rodriguez, a nutrition activist from the Philippines, who spoke to the importance of good nutrition in enabling the world’s most vulnerable to reach their full potential. 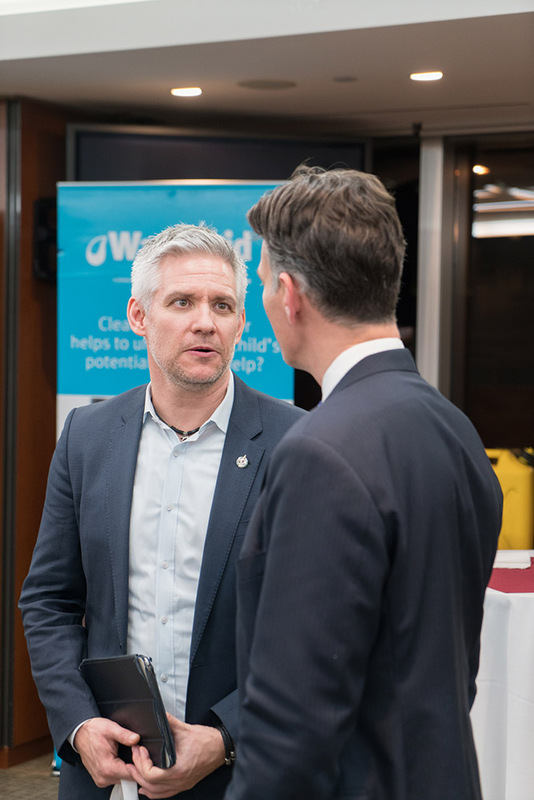 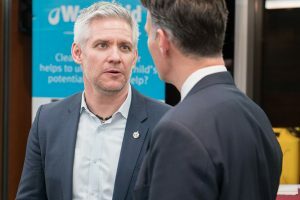 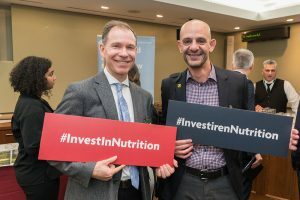 Attendees had the opportunity to learn about the nutrition-related programming and advocacy of WaterAid Canada, Action Against Hunger, the Canadian Nutrition Society, RESULTS Canada and Nutrition International at an NGO marketplace set up throughout the room. This event concluded a day of discussions on the linkages between nutrition and gender equality at a conference organized by a coalition of multisectoral development organizations that included: Action Against Hunger, CARE Canada, CanWaCH, Global Alliance for Improved Nutrition Canada, Nutrition International, Plan International Canada, Save the Children Canada, WaterAid Canada, RESULTS Canada, Women Deliver and World Vision Canada. 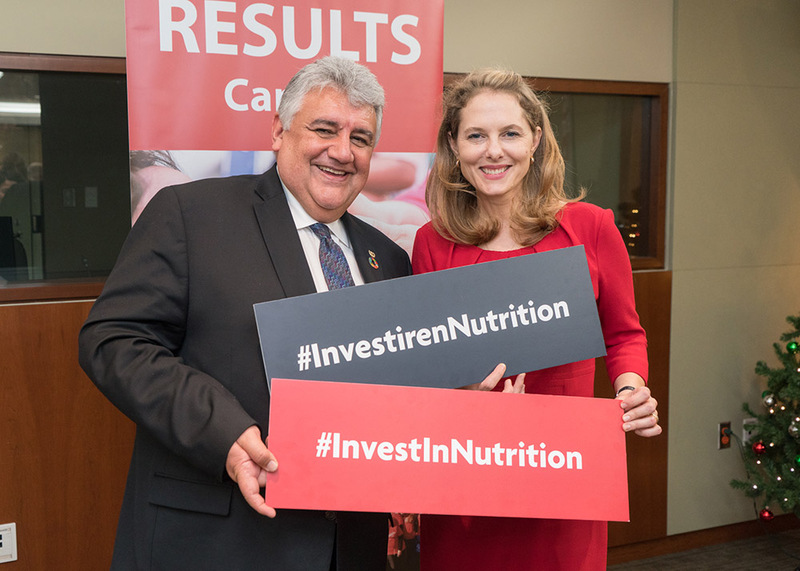 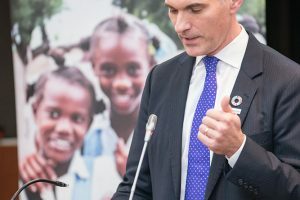 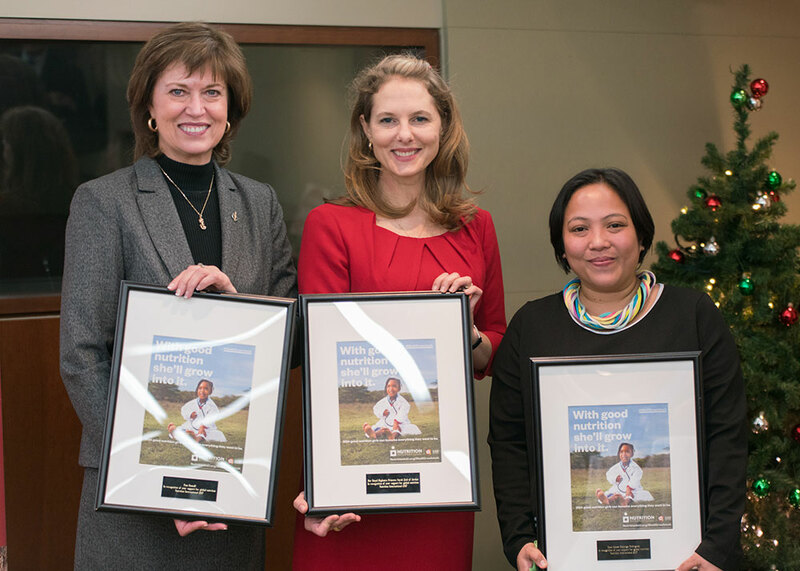 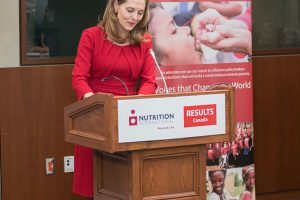 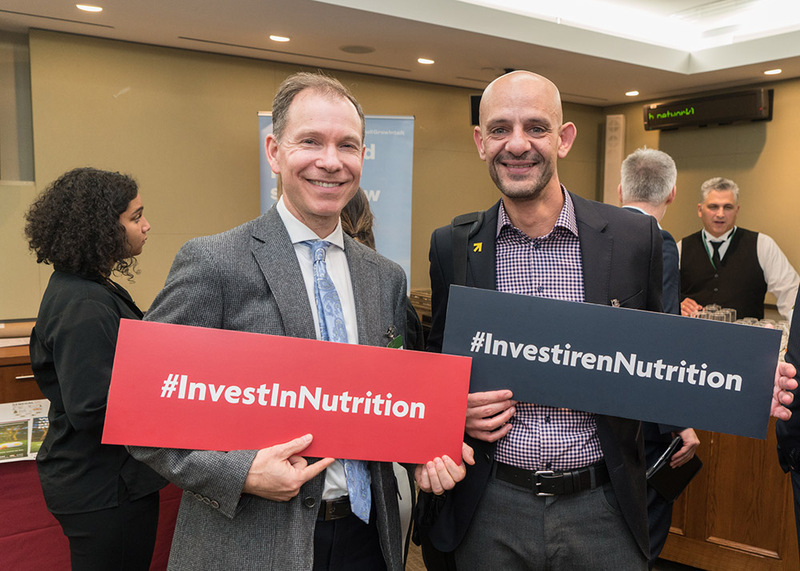 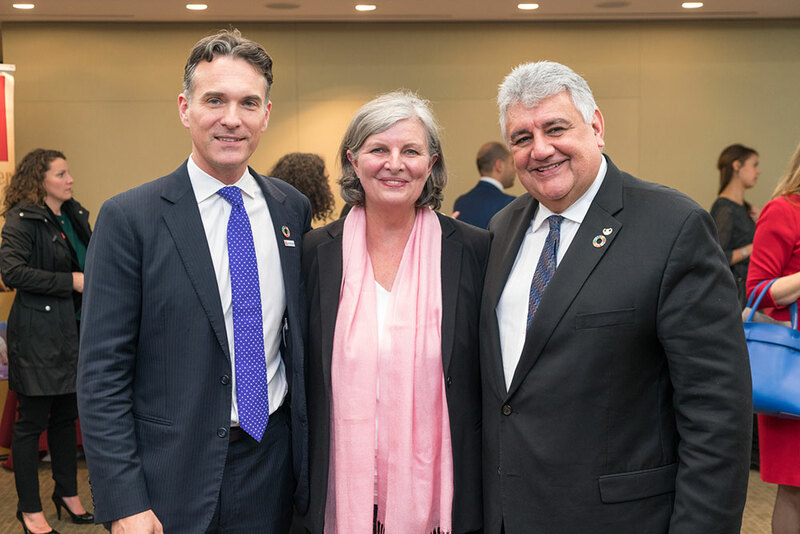 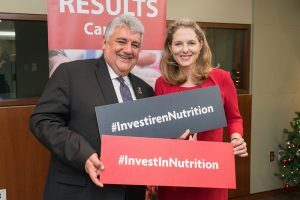 Pam Damoff, Member of Parliament for Oakville North — Burlington, Her Royal Highness Princess Sarah Zeid of Jordan, and Dyan Aimee Rodriguez were recognized as global nutrition champions. 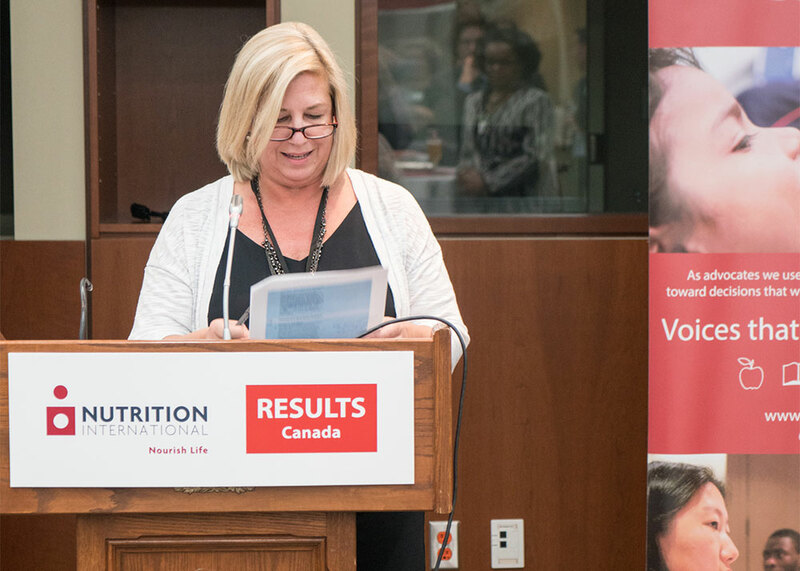 Pam Damoff, Member of Parliament for Oakville North — Burlington, hosted the event.